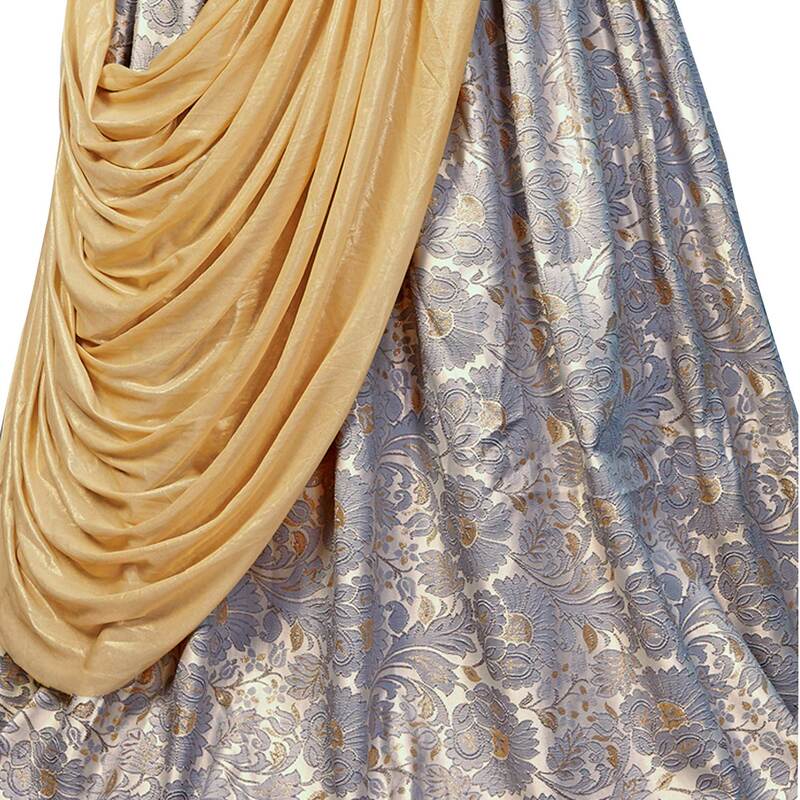 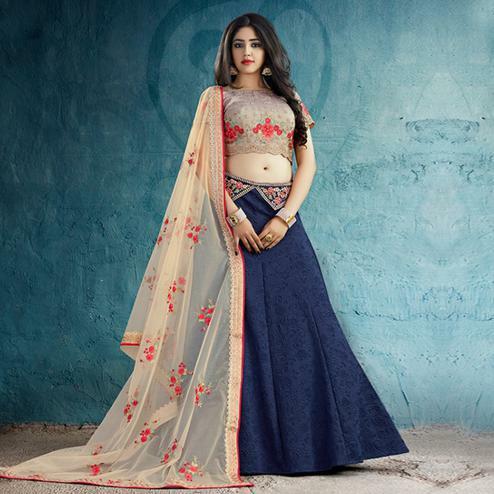 Appear gorgeous in this grey colored party wear designer embroidered jacquard silk lehenga choli. 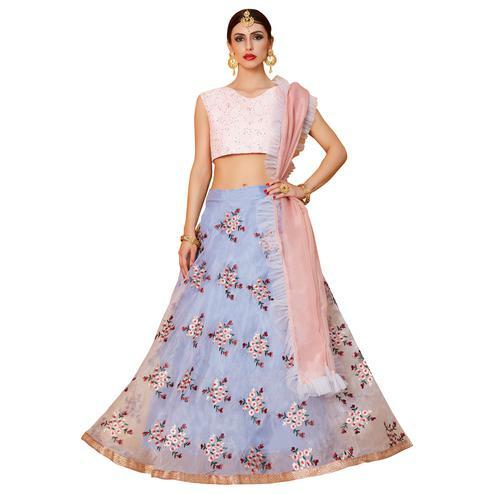 The semi-stitched lehenga is made of jacquard along with santoon inner, choli is made of silk accompanied with lycra dupatta. 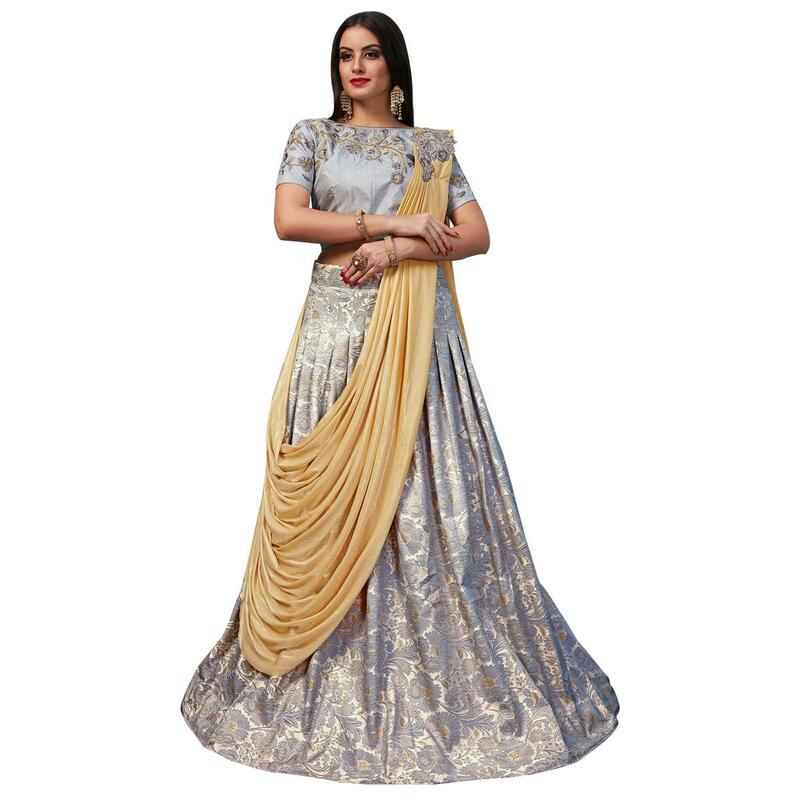 The color combination of light and dark grey with gold is so pleasing to the eyes.The lehenga is a designer piece and has a beautiful draped dupatta with embroidered blouse.The lehenega has a patch work embroidery which looks so elegant and classy. 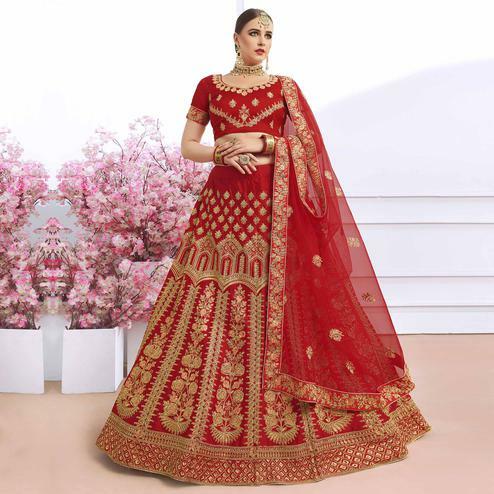 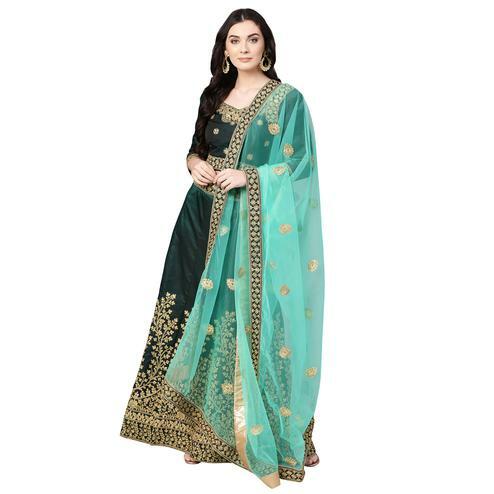 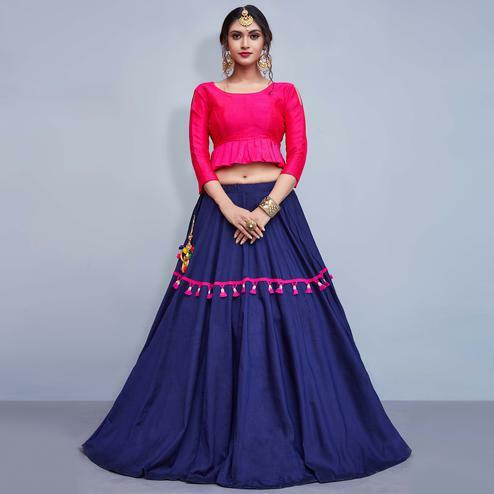 The lehenga is perfect for those who love glamorous indian wear.You can wear this at weddings,receptions,engagement parties,occasions and festivals.Pair this with designer jewellery and a pair of heels and you will look stunning. 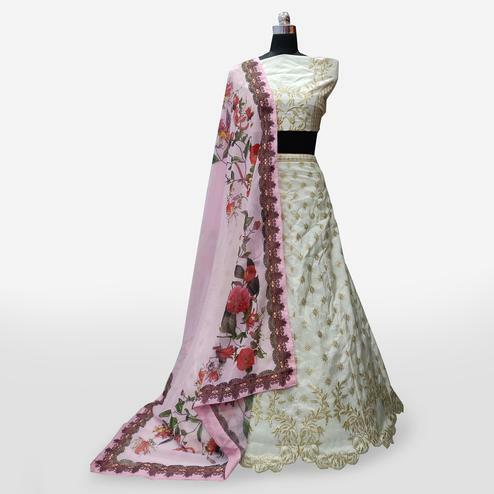 Length Chest upto 40 - 42 inches.